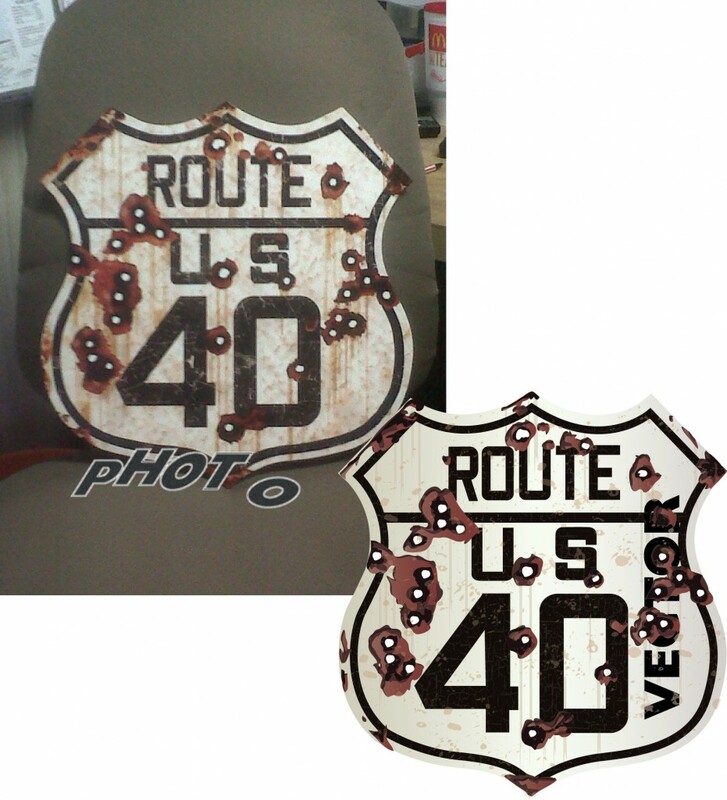 The customer took a picture of a dirty shot-up Route 40 sign and had it vectorized by us. The artist used halftones for the dirty texture, and various shades of color for the bullet holes. Have you ever seen a dirty old sign look so clean?